The gender pay gap is trending downward. It has fallen from 24.7% to 22.4% in the past four years, in terms of total remuneration, according to the latest gender equality scorecard. But it’s not time to pop the champagne cork. The decline that we’re seeing in both the Workplace Gender Equality Agency (WGEA) data and the Australian Bureau of Statistics’ wage data is more likely to be driven by the economic cycle than the underlying structural and cultural changes required to bring about wage equality. This doesn’t mean that such changes aren’t in play. But gender equality is a slow burn, particularly when it comes to pay gaps. Women working full-time earn on average A$26,527 less than men each year, and while most occupations have seen this gap narrow over time, it’s the managerial workforce that has seen the biggest decline, with the gap falling from 29.8% to 27.2% in the four years to 2017. The WGEA data covers more than 4 million employees and 11,000 employers. Companies with more than 100 employees are asked to assess their organisation on a range of gender equity indicators, including the pay gap. Australia is world-leading in this respect, as this is the fourth reporting year for employers. The United Kingdom only introduced similar reporting legislation this year. Is the gender pay gap really shrinking? Taking a longer view of the full-time gender pay gap using the ABS Average Weekly Earnings Survey, we can see that it tends to widen when the economy is doing well and shrink when the economy contracts. This is because male-dominated occupations such as mining and construction are typically more exposed to economic upturns and downturns, whereas women are more likely to work in sectors with greater wage protection, such as health care and education. Despite some green shoots of recovery, the Australian economy is yet to break free from the post-resource boom downturn. GDP growth remains below its long-term trend and labour market recovery is fragile at best. When the economy is booming, men’s wages grow faster than women’s, which widens the gender pay gap. When the economy backs off, as we’ve seen recently, so do men’s wages more so than women’s. For example, during the height of the boom between 2007 and 2009, men’s average wages were growing by around 6.3% each year, whereas women’s grew by around 4.8% across the same period. In recent times wage growth for men has averaged around 2.8%, but for women we’ve seen average yearly growth of around 6.0%. All of this might lead you to the conclusion that closing the gap between the types of jobs done by men and women could positively impact the gender wage gap. This is probably true, but it’s unlikely to be a silver bullet. What we typically see is that when occupations become more feminised they often lose value. There good news from the WGEA reporting data is that more Australian firms are recognising gender equity as an issue and are doing something about it – and measuring the gender pay gap internally is a good start. The data shows that there has been a big behavioural change among organisations when it comes to undertaking a gender pay gap audit – increasing by almost 11 percentage points in the last year alone, with 37.7% having conducted a gender pay gap analysis. What we need now is for this action to translate into outcomes. Read more: Could knowing how much your coworker earns help close the gender pay gap? 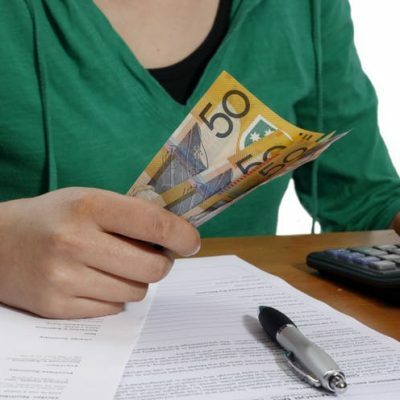 The gender pay gap has been a persistent feature of the Australian economy for some time. This is despite women making great inroads in educational attainment and labour force participation. 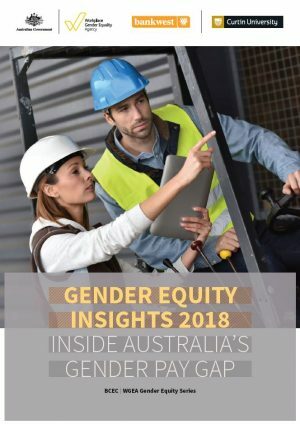 Data reported to the WGEA provides a valuable asset through which Australian organisations can monitor and evaluate their gender equity progress. The recent narrowing of the gender wage gap suggests that this is more likely to be driven by the economic cycle. If the current downward trend in the gender pay gap continues while the economy lifts, we will truly be making progress in this area.